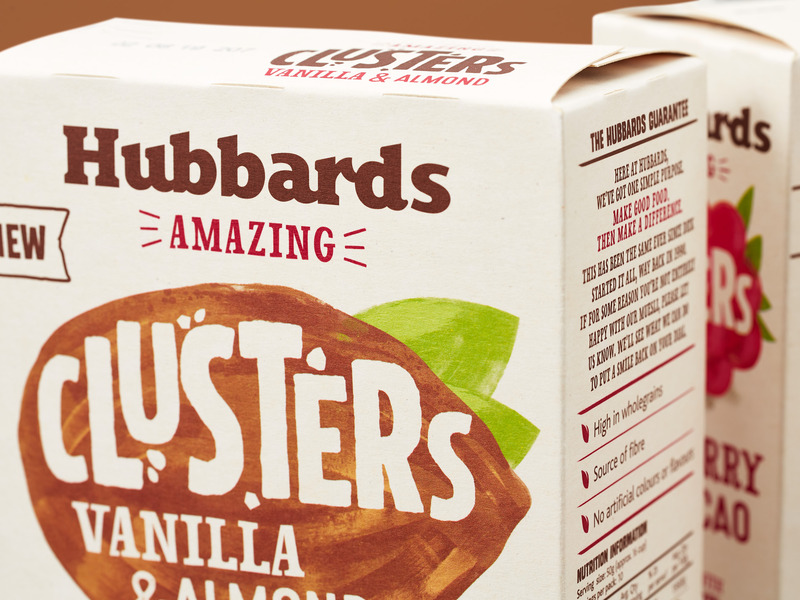 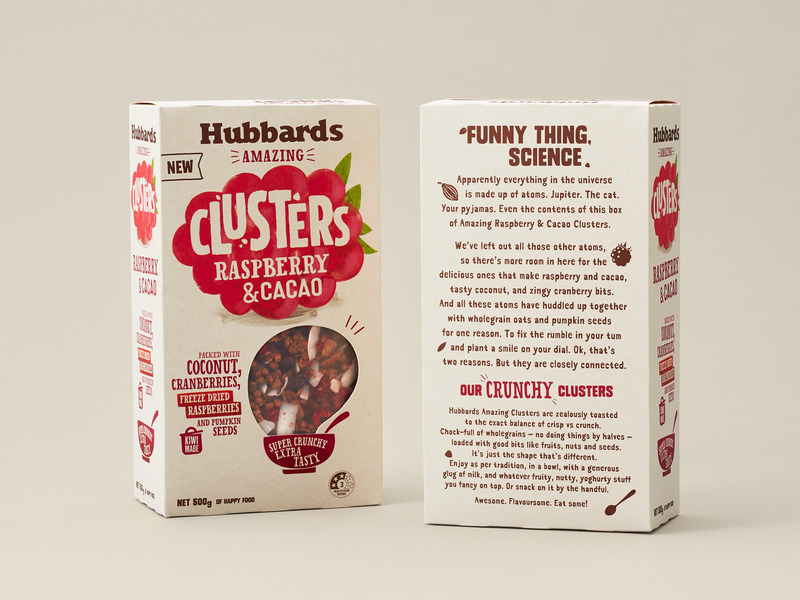 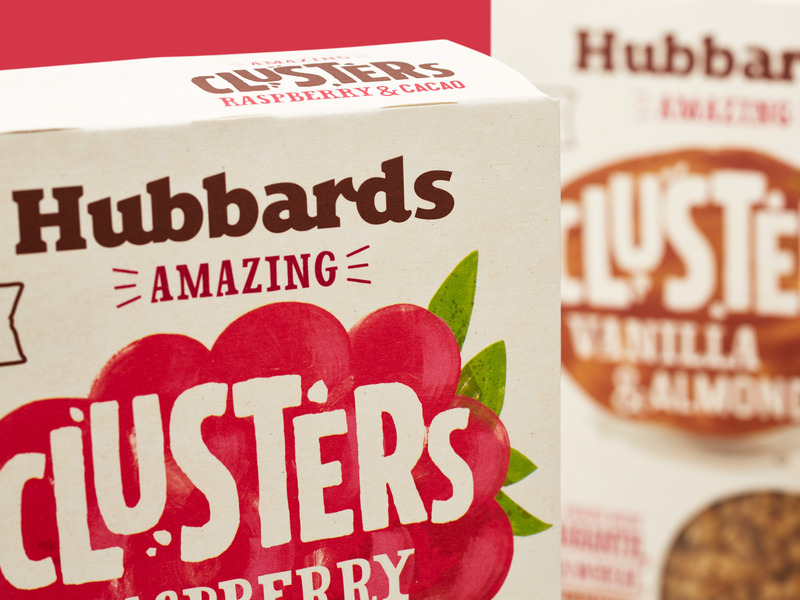 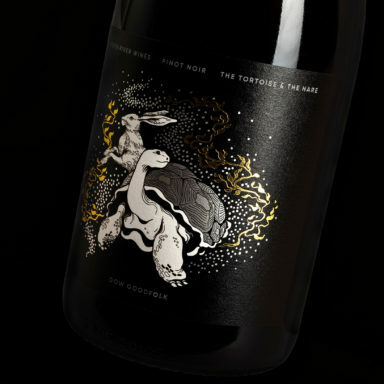 This week’s Fresh From The Field features packaging for Hubbards Amazing Clusters by Onfire. 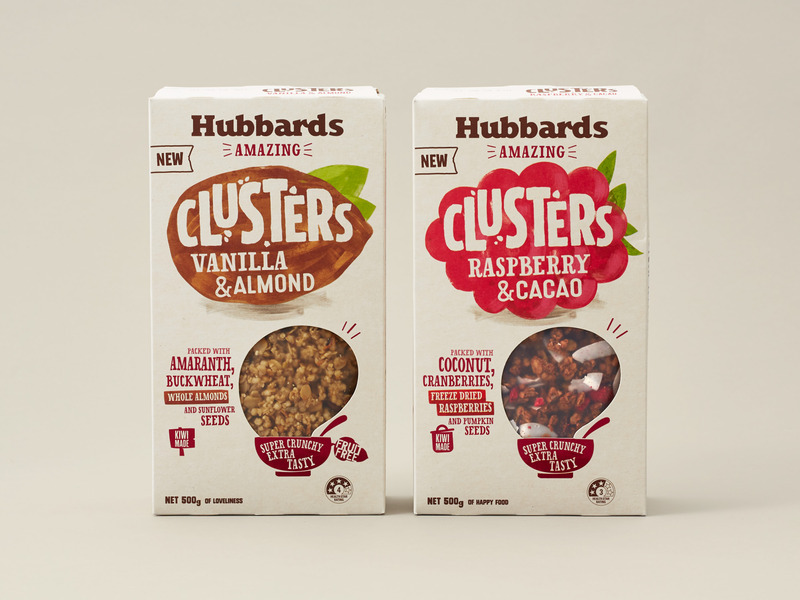 With the continued success and sales growth of Amazing Muesli (#1 muesli in New Zealand retail), the Hubbards team are always looking for ways to innovate and surprise the muesli consumer. 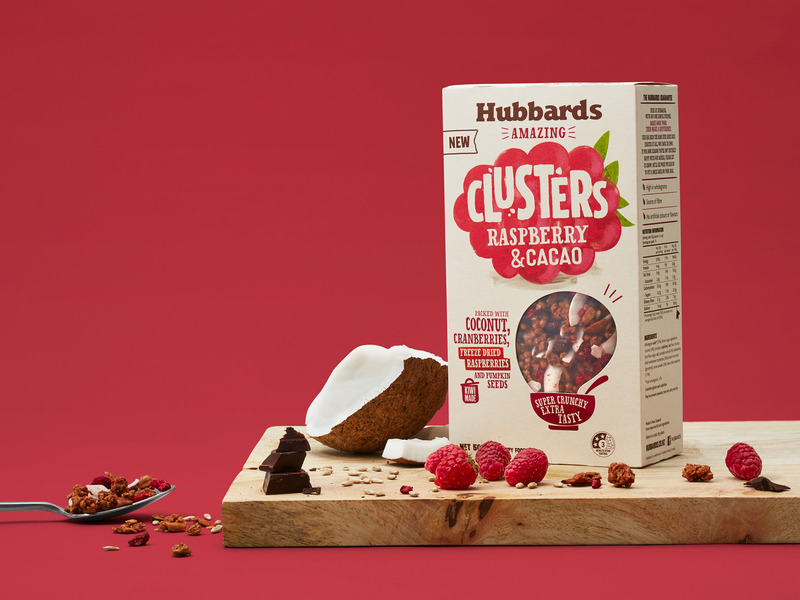 Recently there has been a noticeable consumer shift to mueslis that are crispier, chunkier and consist of a greater portion of whole foods. 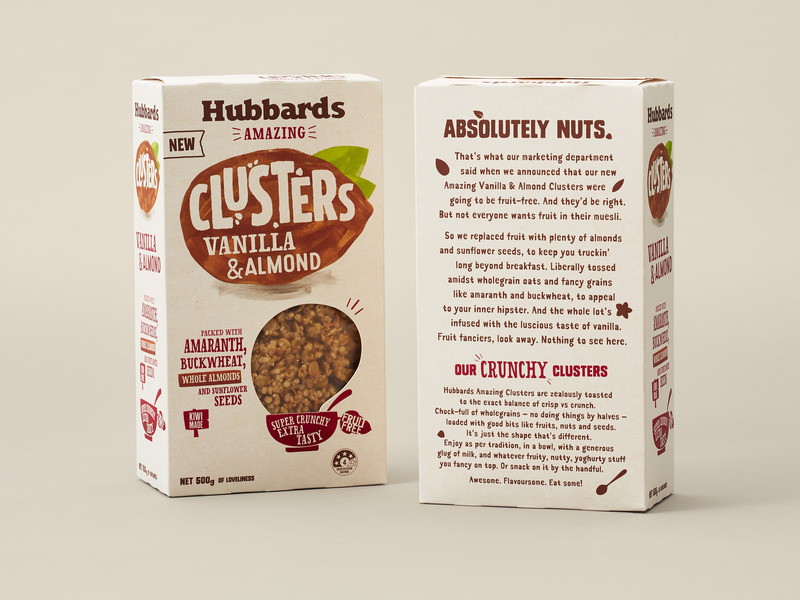 The Amazing muesli range has always had a good level of flavour and texture, but with this new insight there was an opportunity to push the product offering and bridge the gap between the mueslis and the new superstars in the product portfolio – Granola’s.